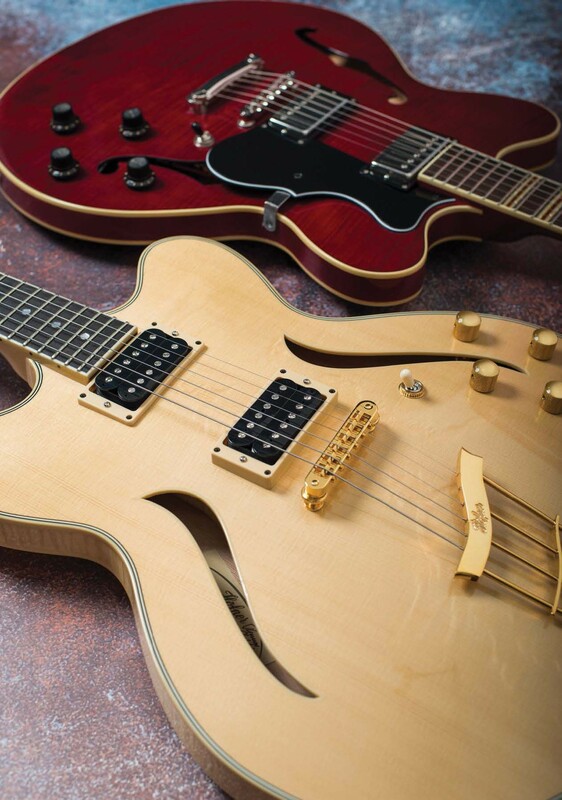 Höfner was a long-established maker of fancy jazz-box guitars before rock ‘n’ roll even came along. Inevitably, however, the German company soon had to respond to the increasing popularity of American-made electric guitars young musicians were so enamoured with, and the Verithin was introduced in 1960 to emulate the ES-335. The key difference, however was in the name – because at 1.25 inches deep, the Verithin was very thin indeed. 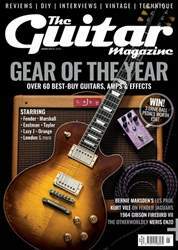 The name may have been slightly altered, but the Verythin guitars reviewed here have the same body dimensions as the originals, along with a host of new features. Now manufactured in China rather than Germany and coming from Höfner’s Contemporary Series, the CT looks and feels not unlike a vintage Verithin. 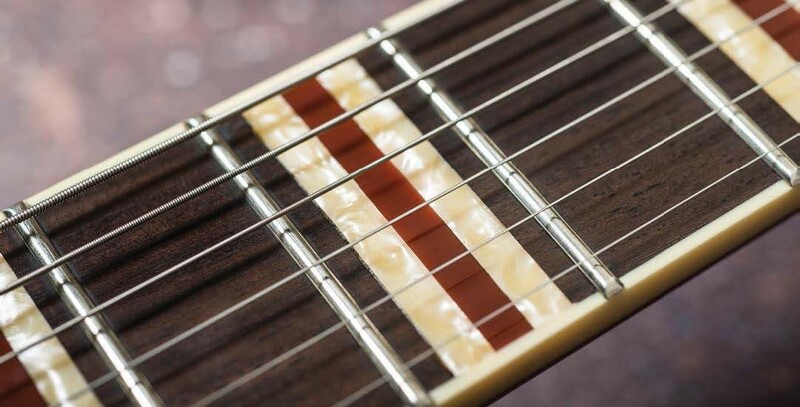 The headstock shape, striped fingerboard inlays, and rectangular pearl tuner buttons all look the part. We’re less enamoured with the headstock inlays, but the knobs and pickguard shape add to this affordable thinline semi’s vintage aesthetic.